Jersey City nights from the 35th floor. I began working in New Jersey recently. 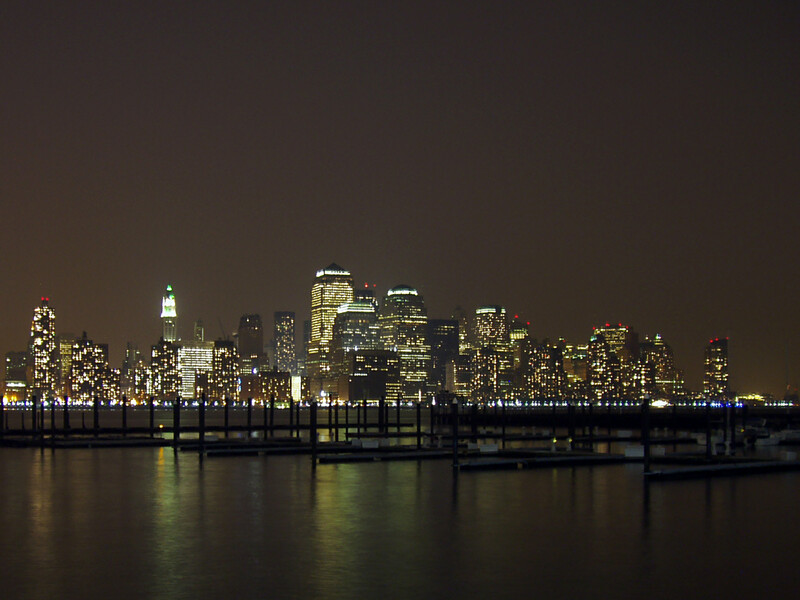 I've worked in New Jersey before, and it's no treat, but staying on the shore across from Manhattan is pretty nice. If nothing else, it allows me to indulge my hobby of photography, which has been languishing for a while. I carried a Canon Elph LT for years; it's a very small plastic-bodied APS camera that's easy to carry and easy to use. It had no zoom unfortunately, and was a film camera, so its drawbacks were substantial. But as a snapshot camera I could always have in my computer bag, it was great. A larger camera would have been too much of a bother to carry, and I wouldn't have gotten any photos at all. Since I travel with a laptop, I usually download my photos to it the same night I take them. I get about 30 high-resolution images on the card and take only 5-megapixel photos. Bottom line: great camera; digital is the future. Update: I got a 128 MB card in October after running short of space when I visited the Statue of Liberty. It's nice knowing I can shoot dozens of photos and not miss anything because I'm editing on the fly to make more space. I'm staying in a corporate apartment on the 35th floor with a view of Jersey City. The view of Manhattan on the other side of the building would be nicer, but I've gotten some great pics from my walks around the area. 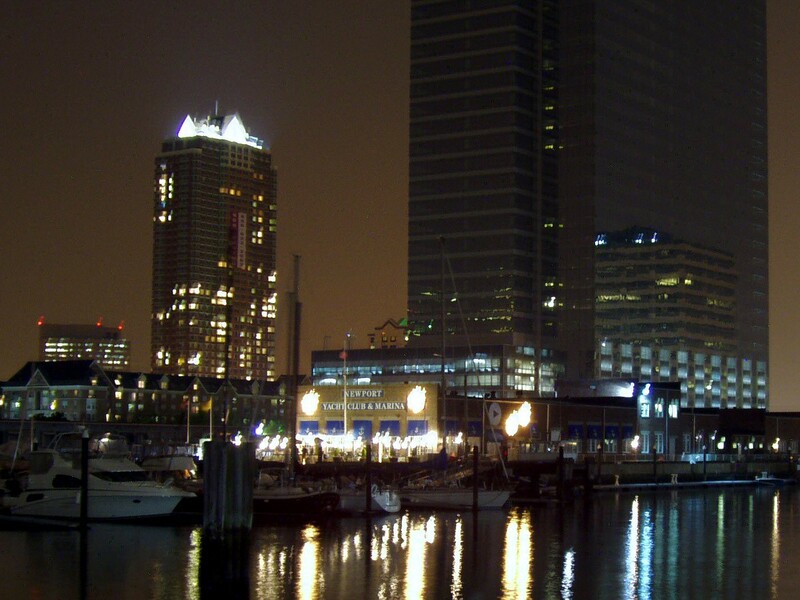 The Newport Marina is a nice sight at night. I bought tripod just so I could take pictures like this. A flash would do no good beyond a few feet. As a general rule, New Jersey looks better in the dark. Empire State Building, from Jersey City. 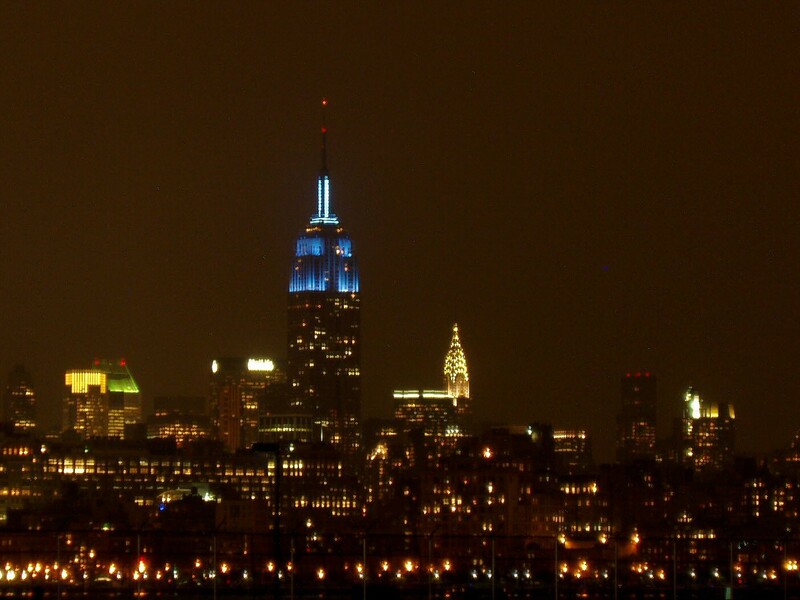 The Empire State Building and Chrysler Building are a little far away in Midtown Manhattan but still scenic. These buildings are are two of the best works of architecture America has to offer. They are solid, sculpted, and timeless. Some new buildings in the New York/New Jersey area are now designed to blend in better, sculpting glass-and-steel facades to a more art deco profile and furnishing the interiors with understated art deco motifs. This is the west side of Manhattan. The Statue of Liberty is south (out of frame to the right) a few miles. 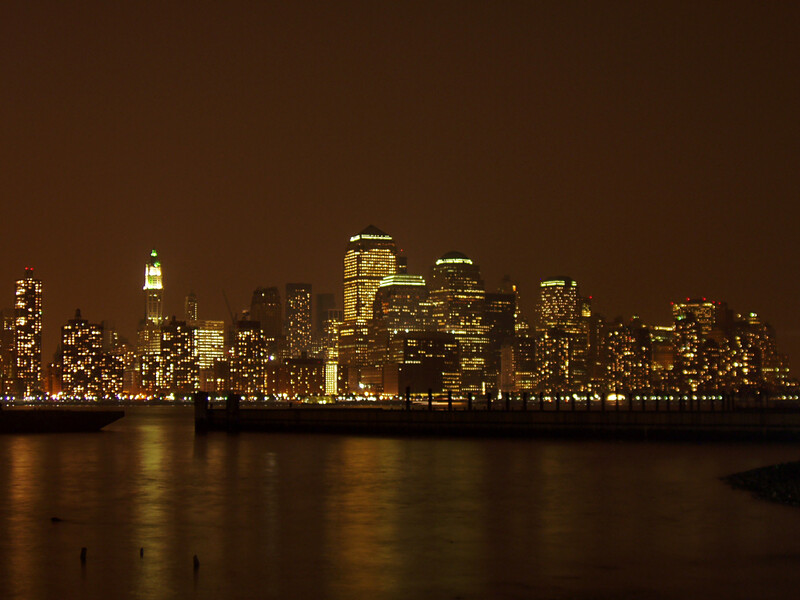 Lower Manhattan is amazing, especially by night, so I've included two pics here with the city set low in the frame (the high resolution versions are nice as wallpaper). This picture was taken at the same time on the same night. 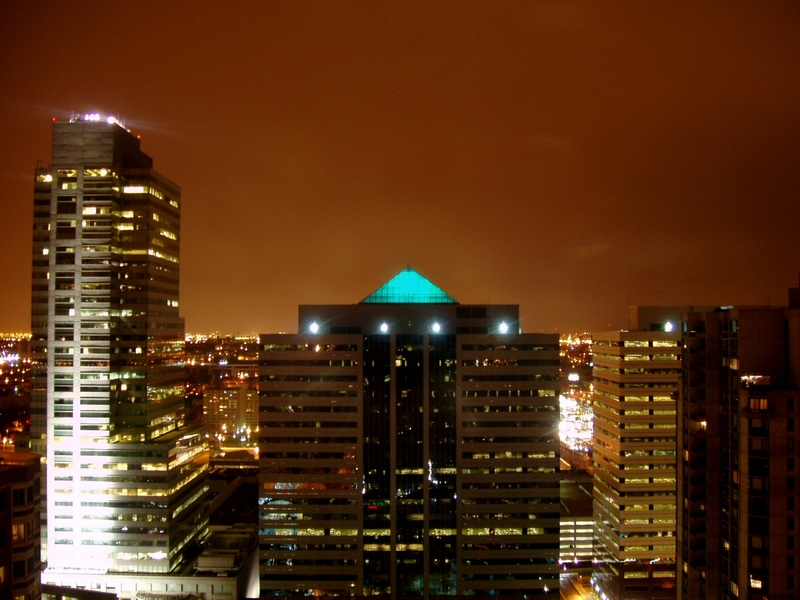 Depending on how you take the picture, a nighttime city can appear cool and dark or warm and glowing. 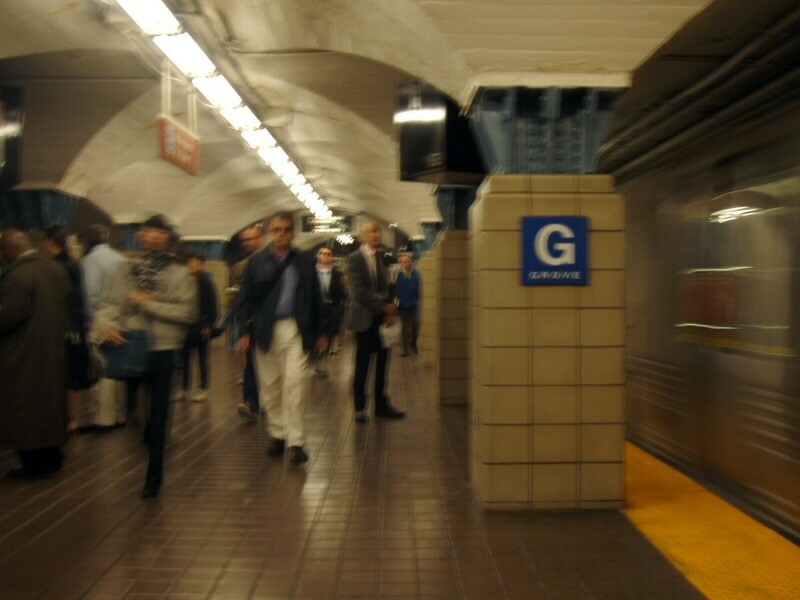 Grove Street PATH station morning rush. I used to take the Chicago Metro rail, but I hated the rigid schedule and terrible parking. The New Jersey PATH is close, and trains are very frequent, since it's basically a subway and not light rail. I like the movement in this pic, with the people blurred into abstractions along with the train. This was a flashless snapshot, no tripod, shot blind. I find that if I draw attention to myself by framing a people shot, the people either look away or stare. 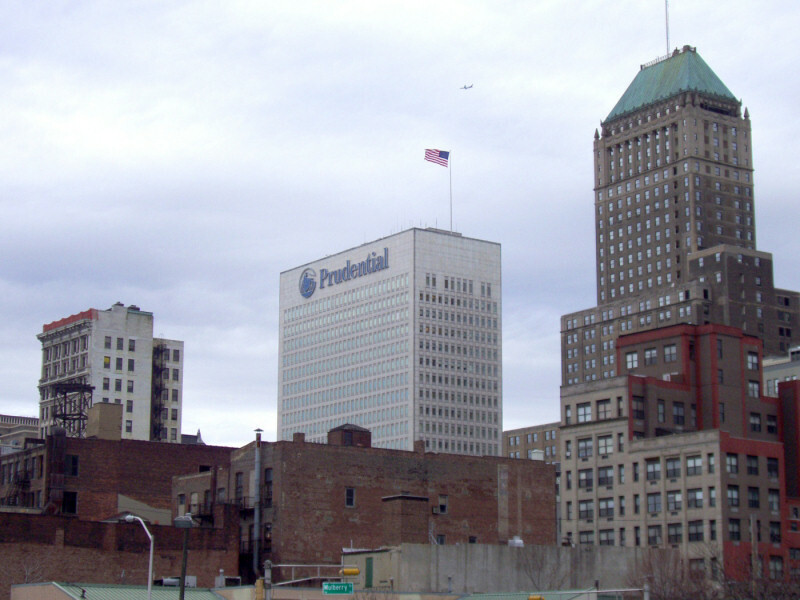 The Prudential Financial Building stands majestically in the middle of the wig district of Newark. For some reason, downtown Jersey drivers believe that honking their horns somehow aids the flow of traffic. On the two-block shuttle ride between the Prudential Building and Penn Station, it's common for the driver to use his horn three or four times. This has no noticeable affect on other drivers. And don't get me started about how New Jersey is a state full of people too dumb to pump their own gas. They're even proud that their gas prices are low in spite of the mandatory full-service gas stations (New Jersey is big in petroleum distribution). What's so great about a full service gas station? You have to wait longer and pay more. It's not like they check your oil anymore. 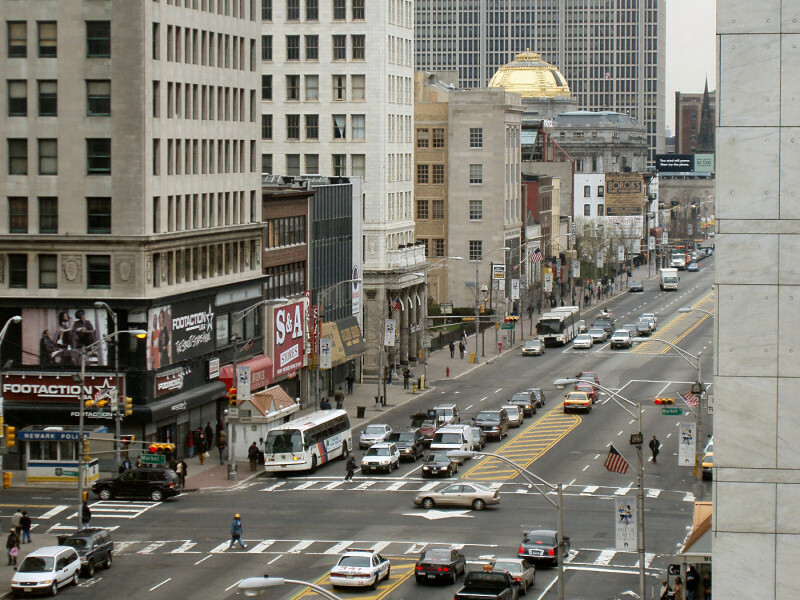 Broad Street in downtown Newark is a bustling metropolis with no roaming taxis or decent restaurants. It's a strange place, forever aware that it's the ugly step-sister of New York. When I first flew into Newark and checked into the Newark Airport Hilton, I asked for a cab "into the city." The desk clerk called for a cab to Manhattan. In New York/New Jersey, there's only one city, and Newark ain't it.